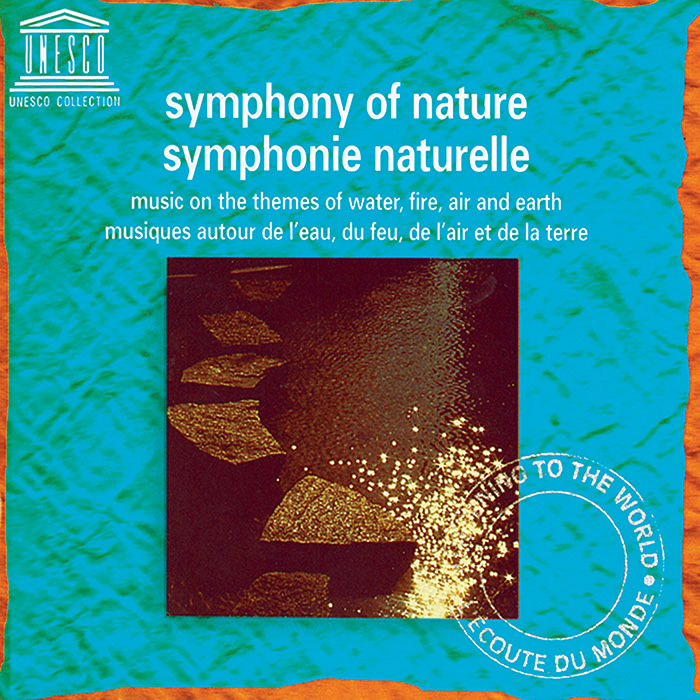 Week 12 of the UNESCO Collection of Traditional Music evokes nature scenes with folk songs from the Mongolian steppes to the hillsides of France and beyond in the reissues of Symphony of Nature: Music on the Themes of Water, Fire, Air and Earth and Mongolia. There’s a Mongolian folk song, “View over the Kherlen River,” that is included in both UNESCO albums released this week: Mongolia and Symphony of Nature. Although “View over the KherlenRiver” is here played by the two string fiddle called Morin Khuur (horse-head fiddle), the piece was originally a long song (urtyn duu). ”My father’s homeland is Kherelen’s Bariyaa,” the lyrics go, “and oh, it appears blue and misty. Dear to me is the river called Kherelen, and oh, its source is in Hentii.” The Kherlenis a river located in Hentii province, and these words reveal the close emotional and physical connection of Mongolians to their homeland. Mongols have traditionally lived as nomadic herders, adapting to the natural environment on which their survival depended. As Symphony of Nature reveals, in Mongolia and around the world the act of making music was always part of the process of harmonizing with nature. Illustrative selections include Cuban guaijira-son, a Turkmen heroic epic, Turkish folk songs, Bulgarian and Byelorussian harvest songs, Vietnamese theatre songs, and Portuguese flower-picking songs. Both the voice and lyrics express human emotions and stories from the natural world. Some of the pieces here are programmatic instrumental pieces which describe nature by means of the instrument’s articulation and idiomatic expressions, such as a piece for the Chinese two-string fiddle called erhu, and one for solo qin, or silk-string zither. In addition, songs and dances from the Central African Republic, Cameroonian water drum music, and a piece for the Japanese flute all imitate with their own sound the natural sounds of wind, water, birdsong, and the forest. Not only the sound but also the musical medium which produces the sound are closely related to nature: human voices, water drums, a bamboo flute, a zither with silk strings. Unsurprisingly, the strings of Mongolian horse-head fiddle and its bow are made from a horse’s tail hair, and the fiddle is often played to comfort livestock when they are sick or disturbed. 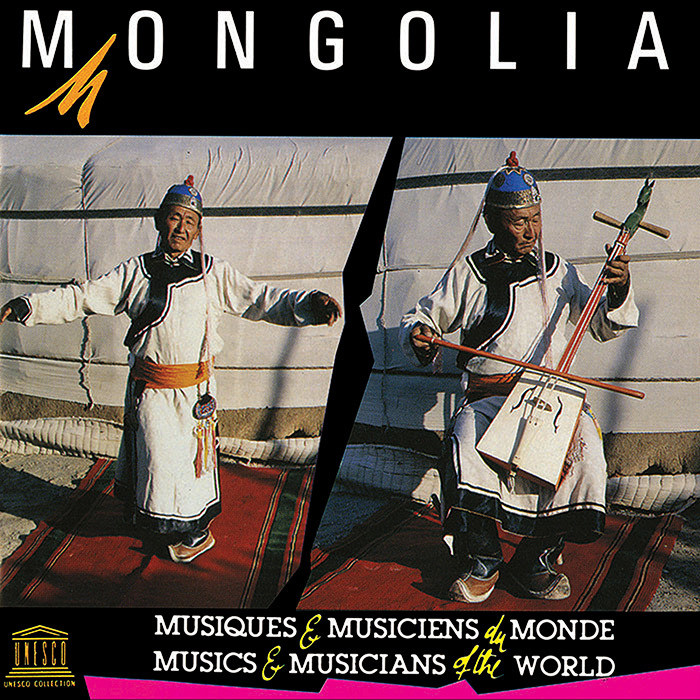 The Mongolia album also presents several types of musical genres that incorporate the spirit of nature. Long songs (urtyn duu) and short songs (bogiin duu) tell of mountains, animals, the open steppe, the sky, the seasons, the moon and sun, and the singer’s own emotions. The diphonic song called khöömei, in which one singer simultaneously sings several tones, and the sound of instruments like the limbe, which is close to the birdsong often heard in the spring on the open steppe, imitate the sounds which surround the musicians and singers while they are herding the livestock—the stream by which they sit, even the echoing sound of the wind. In another version of the long song “View over the Kherlen River,” the final lines say: “it was this noble lady whom I had intended to greet, I am happy to have greeted her. I made it happen, and now I’m going home.” The noble lady indicates the KherlenRiver. The singer is, then, not only singing about nature but honoring it, aware as the singers always have been of the mutual relationship that exists between them.